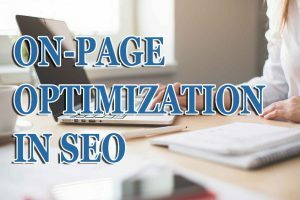 In this article, I will share Top 5 tips for On-page Optimization in SEO. Many people who want to learn SEO but they don’t know about On-page Optimization in SEO. If you also a beginner or you want to learn On-Page Optimization then you should continue this article. Why should we do On-Page Optimization? If you feel disappointed about these question then this is the right place for you. Here I will explain about Top 5 Tips for On-Page Optimization in SEO. And I hope you will be satisfied with this article. 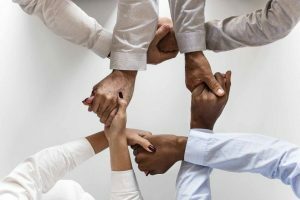 If this article will helpful for you then please share it with your friends and tell me about this article in the comment section. First of all, I want to tell you that On-Page optimization is the most important thing in SEO. In SEO, you do off-page SEO like link building. But off-page doesn’t give improvements in your page rank as compare to On-Page SEO. Today if we talk about the SEO world then we get that content is the king. If you will create a link in a very powerful website with high DA & PA. The visitor will come in your website and here visitor will check your content. If your content will not good then the visitor will go back. So here he knew that On-Page is the most important term of SEO. If you will compare On-Page SEO and Off-Page SEO then you will get that approx 90% SEO is all about your content. And 20% of SEO is only Off-Page SEO. We have 6 types of headings which are H1, H2, H3, H4, H5, H6. So you should choose you’re the most important heading of your article. And use H1 tag for your most important heading. As you can see in the image which is given below. After H1, you can use the H2 heading tag. H2 tag will be used for all subheading of the H1 tag. Example: If you are writing an article for “Best Mobile Phone in India”. Then you should use H1 tag for your main heading which will be “Best Mobile Phone in India”. Now you can use H2 tag for subheadings like “Mobile Phone Under 50000”, “Mobile Phone Under 25000”, “Mobile Phone Under 15000” etc. And if you want to make sub-heading of H2 then you should use H3 tag for the subheading. Example: You want to make sub-heading of “Mobile Phone Under 5000” then you should use H3 tag for “Mobile phone of Samsung Brand”. Thus you can make sub-heading with H4, H5 & H6. Here you should notice that you can use H1 tag only one time in your article. You can use H2 to H6 tag at multiple times in your article. But H1 tag can be used only one time in your article. Now I hope you understand that how to use heading and sub-heading tag. This is a very useful tip for On-Page Optimization in SEO. If you are a beginner in SEO then you should definitely use WordPress plugin of Yoast by SEO. This is a very important plugin for SEO. It gives all the recommendations for good SEO. Here you can define meta keywords for your article. If you are beginner then you can use the free version of this plugin. But if you can afford then you must use the paid version of this plugin. In the free version, you can use only one focus keyword. But if you will use the paid version then you can use five focus keyword for your article. Meta keyword is very important for your article. By the Yost SEO tool, you can write a meta description of your article. It is also very important for your article. You must give a meta description of your article. And you should use your focus keyword in your meta description. And make sure your description should be catchy. It helps to get visitor clicks. So I hope you got this useful tip for On-Page Optimization in SEO. You should use the Yoast plugin to get good results. This is also a very important tip for SEO. Internal linking must important for SEO. Now let’s know about internal linking. Let suppose, you have a page which already ranked on Google. And it has many visitors per day. It means the Page Rank of that page is very good. If you will link your different articles with that page then there are some chances to get some visitors for your new article. It called internal linking. 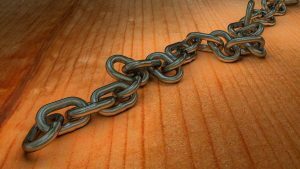 In internal linking, you link your website’s pages with your new pages. This is very helpful for SEO. Now I hope you got the information about internal linking. Tell me in the comment section about internal linking. Is this information helpful for you? If you will see from the SEO expect then external linking also a very important part of SEO. This is also one of the important tips of On-Page Optimization in SEO. Let suppose, you are writing about SEO. And you are writing about Yoast in SEO. Here you know the Yoast plugin but Google doesn’t know about Yoast. This time you should link Yoast keyword with Yoast plugin URL. Now Google can understand what you want to explain in your article. This is a simple logic of external linking. Here you will teach your visitor and you need to also teach Google’s bot. Thus you can rank faster on Google. And you will get a lot of traffic. Page speed is also a very important factor in SEO. This is also a part of On-Page Optimization in SEO. To boost your page speed you should use images of small size. It helps to load fast your webpage. You can use maximum image size 100kb. If the image size will decrease then the page will open early. So you should consider this point for On-Page Optimization in SEO. I hope you got the information about page speed in SEO. So you should use the small size of images and the best hosting to get good page speed. Finally, you got Top 5 Tips for On-Page Optimization in SEO. Here you got information about headings, Yoast plugin, internal linking, external linking and page speed. So this is full On-Page optimization. If you want to learn more about SEO and digital marketing then you should get for the given link which is given below. I hope all the information will be helpful to you. And if you got this article helpful for you then please share it with your friends. Thank you for reading this article till the end. Tell me about this article in the comment section. This entry was posted in blog, blogging, digital-marketing, seo and tagged on page optimization, onpage optimization in seo, seo, top 5 tips for onpage optimization in seo, yoast. Bookmark the permalink.